Out of curiosity, what made you decide to rush up this BB line? Given the age of the others and your lack of a Tier X American, Japanese, German or even British BB and the rapidity of your Tier X French BB I am curious as to what drew you to the French BBs? Something about them? Got Richelieu from a crate and task and ran with it? Got Richelieu from a crate and task and ran with it? 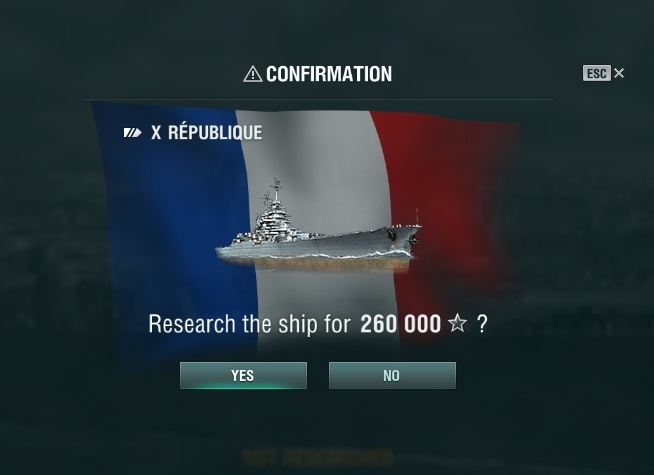 I had 191k on the Richelieu when the BB line dropped, and the Alsace is so much fun to play the 260k dropped this morning. The crazy part for me is that people already had that t10 ship on the day of the patch. I saw around 12 of them in one match back on Friday.